Recently, I designed a fun shawl, and made a video about how to weave a shawl with a collar using 3 triangles woven on the 3ft triangle loom. The border is made up of triangles woven on the potholder loom. 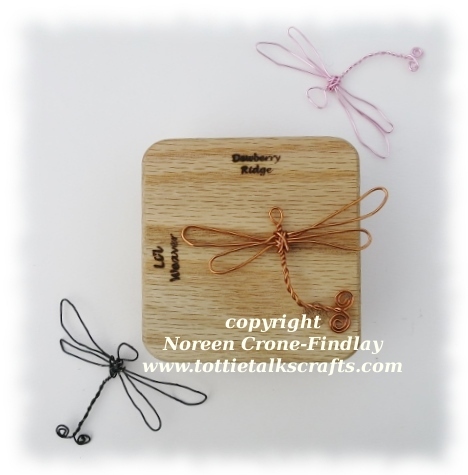 Here’s the video: The video is full of hints and tips for triangle loom weaving in ‘outside the box’ ways. At the beginning of July 2016, my dear friend, Laura Cameron commissioned me to weave a Woven Woman Soul Portrait of her. I have now completed the tapestry, and truly, there was love in every stitch! It was more than 3 months of intensely hard work, but oh, my! 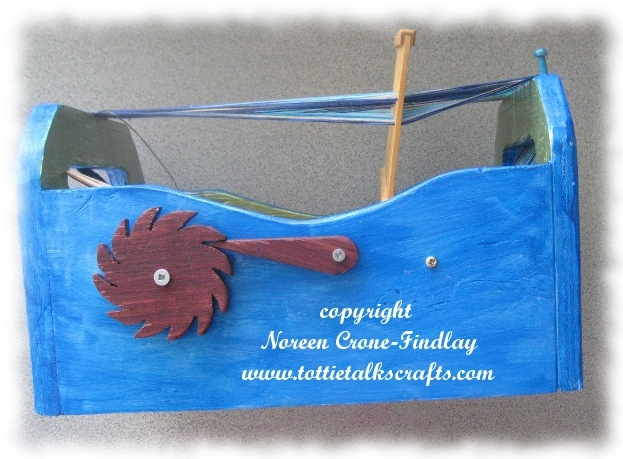 What joy to create it! I have been working on new handwoven one of a kind art dolls. 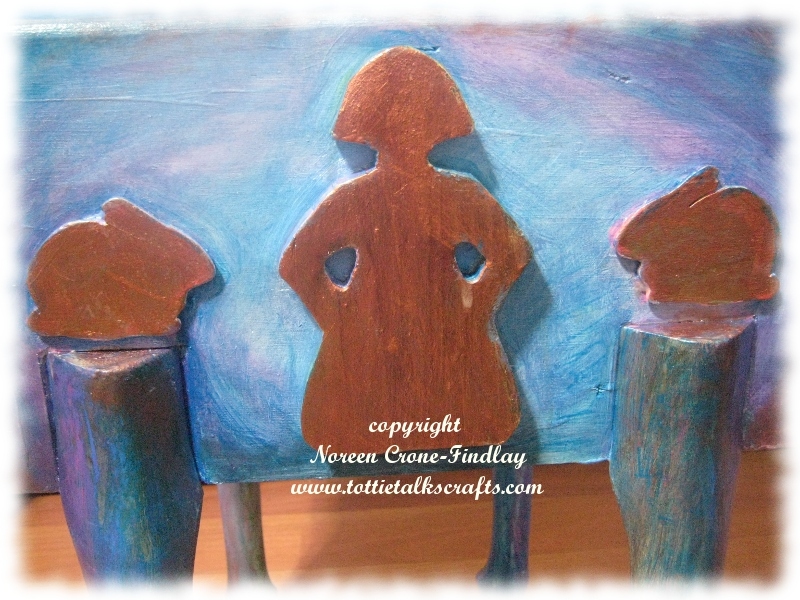 They are a somewhat different approach to my Woven Women Mixed Media pieces. Earlier this summer, I read a wonderful book, called: A Monk in the Beehive. The author spoke about humanity needing to come to our senses, and to connect with our sixth sense, which is wisdom, intuition, peacefulness and integrity towards the planet. This moved me deeply, and I have been thinking about it a lot. This is how I have woven these thoughts together- in the first 3 of a series of ‘6th Sense’ Woven Women. Each one is totally one of a kind. I wove them as contemplations on wisdom, compassion, kindness, peace and peace making, connection, and a longing to care for the planet. As I created each one, I would hold thoughts of wellness, integrity, and all the other attributes that I mentioned previously. 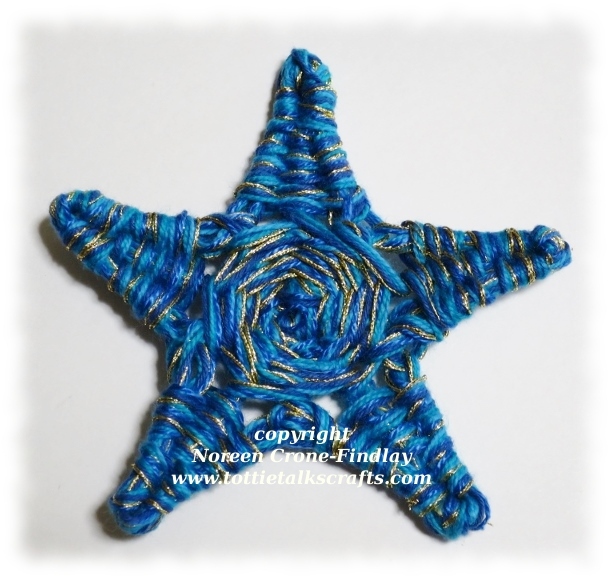 Weaving is a meditation in motion, and there is love in every stitch. There is joy and tenderness in the making of the ‘6th Sense’ art dolls. They are all approximately 17 inches tall and they can either stand and lean on a shelf, or be hung from the woven hanging loop on the back of the head. Each one has 6 pennies- six cents- to represent the Sixth Sense, in all it’s manifestations. 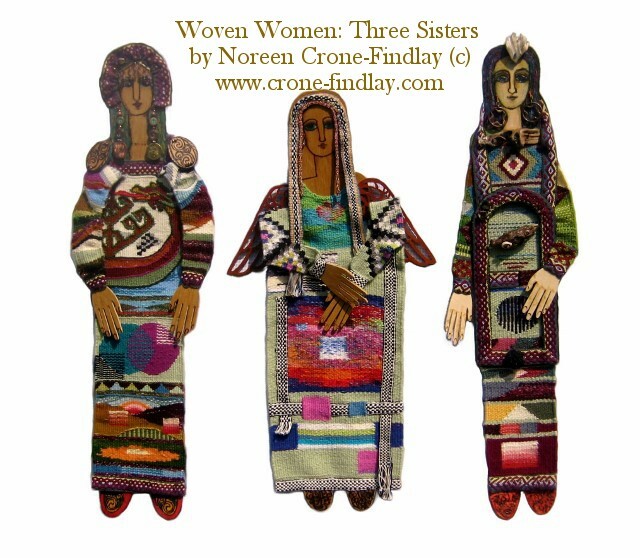 I wove each of the 6th Sense Woven Women Art Dolls on many different looms, using a wide variety of techiques. I am hopping up and down with delight! 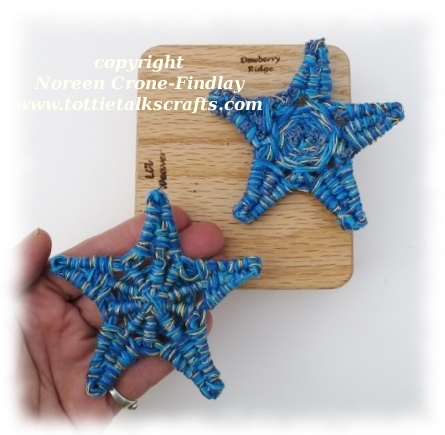 For the last couple of years, I have been working on the designs for 2 new small looms: A Star and a Dragonfly. I’ve done dozens and dozens of variations and iterations, and now, they are the Bee’s Knees. Poifeck. 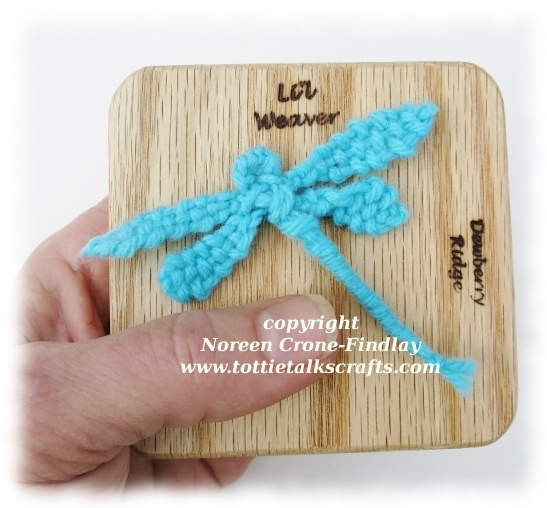 I took my designs to Donna and Gary McFarland of Dewberry Ridge looms and asked if they were interested in making them as part of their ‘Lil Weavers’ series, and they said, ‘Yes, indeed’. Gary is working magic with his CNC machine and I love how he is building them. We’ve decided to not show the front, working part of the loom, because, to be perfectly honest, we’ve worked so incredibly hard on them that we don’t want to be ‘scooped’ on them. It’s happened in the past with other designs, so we’ve chosen to be more circumspect about these ones. 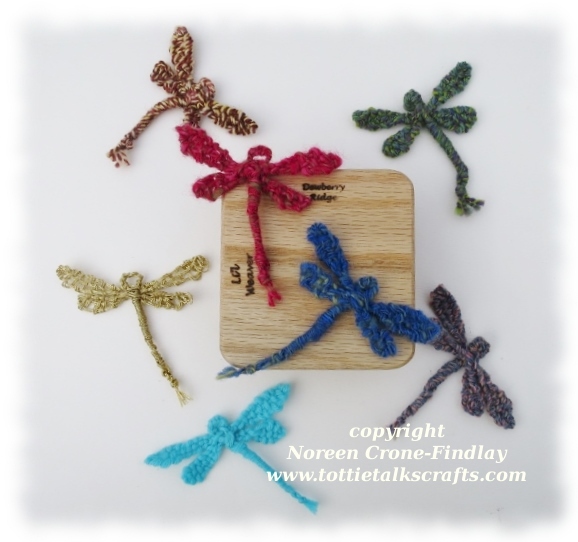 Instead, I’ll show you the back of the looms and the dragonflies and stars that you can weave with them. 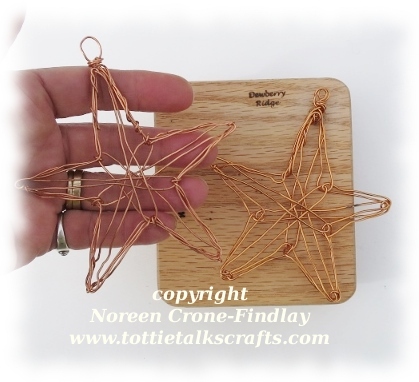 The stars and dragonflies are somewhat challenging to weave, so I have made really detailed step by step instructions with full photographs. 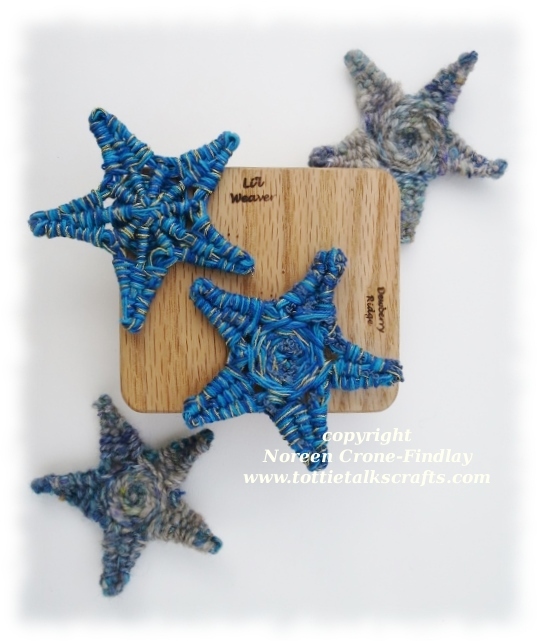 I am thrilled… I hope that you’ll love them, too! Every year for Christmas, I make our family and friends a new Christmas ornament. 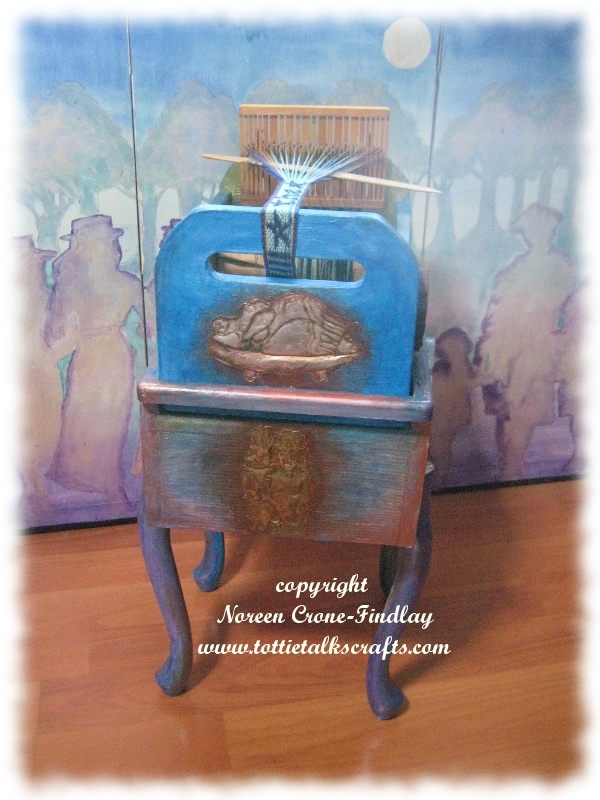 My son, Angus Findlay, and I have just co-created a loom and stand that I absolutely love. 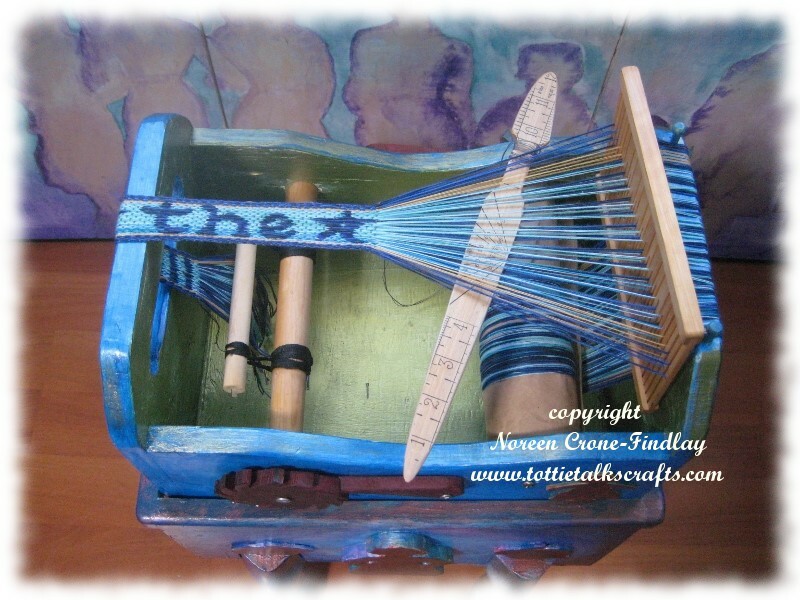 Last January, I asked Angus to build me a box that I could turn into a loom. I made the ratchets and pawls from purpleheart wood, cut the ends and sides into the shapes I wanted, made the warp and cloth beams and started painting it. I loved it, but found it a bit too big to hold in my lap while weaving, and I didn’t have the perfect table to sit it on and weave comfortably. 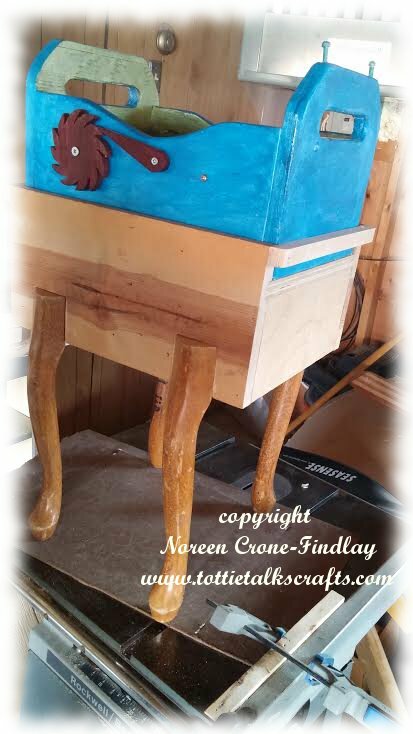 So, I asked Angus to take some funky old legs that I had bought at a garage sale, and build a stand for the loom. Woo hoo! I love it! 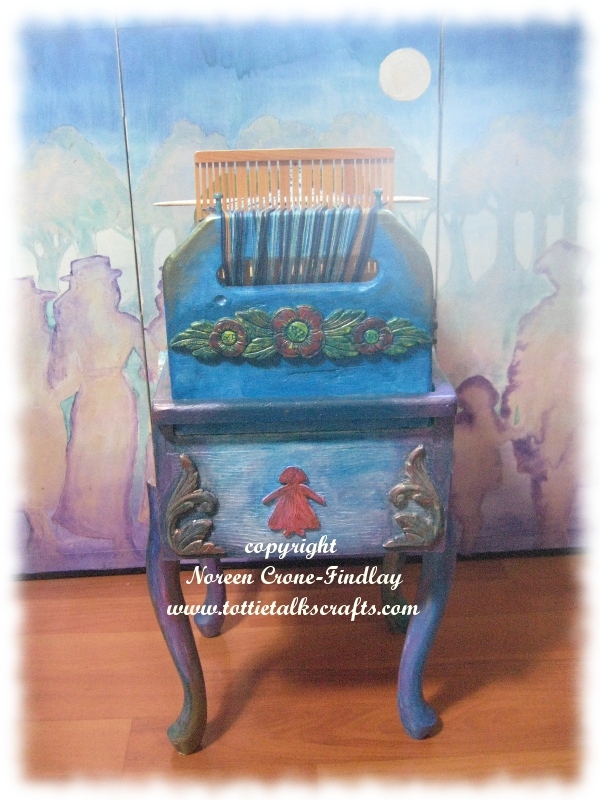 I am enchanted by Angus’ design and how he built such a whimsical and quirky (and VERY solid and sturdy) loom stand. He intuitively made it just the perfect height for me. I brought it home and started playing with embellishments. I cut out some of my favorite wooden shapes to glue on it, and then painted 3 coats of gesso to prime it. 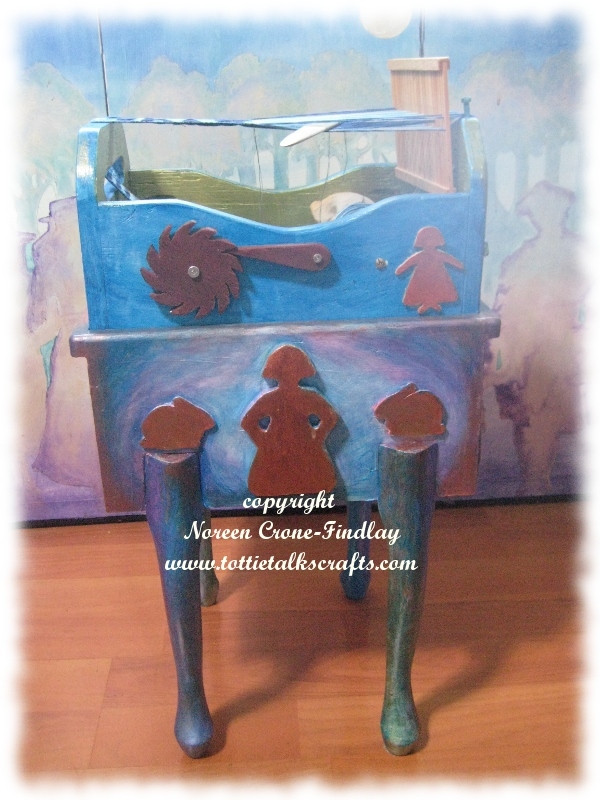 Painting was a long slow process, as I applied layers of acrylic paints in thin washes to build up the color shifts. 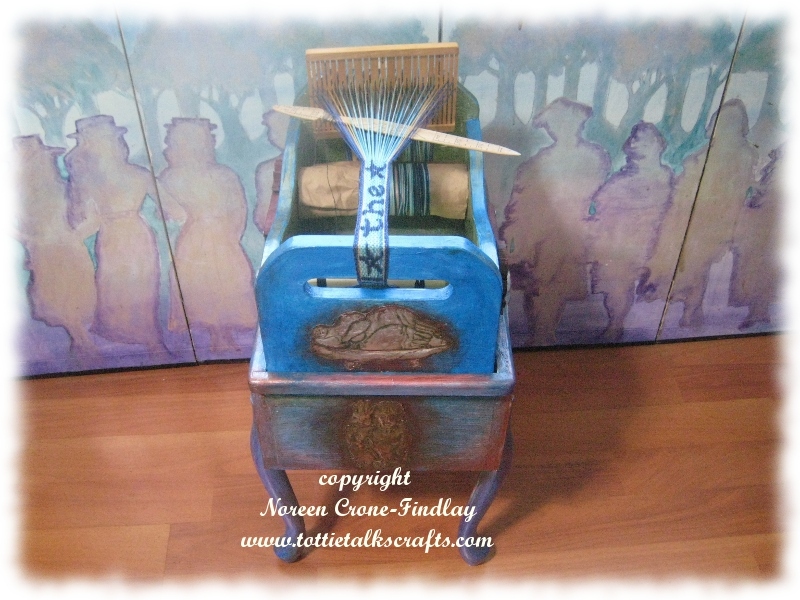 The screen behind the loom shows how I use this layering technique on other pieces, too. in mind before I started painting. But, I believe in listening to the piece and allowing it to tell me how it wants to be. 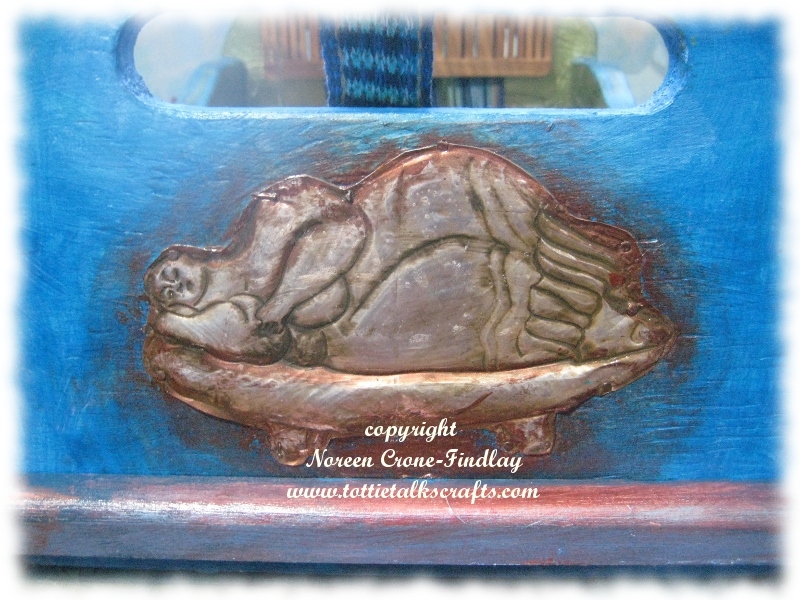 The ‘Dancing Girl’ and ‘Resting Rabbit’ motifs are a theme that I have used for more than 40 years. I made the metal image of the Dreaming Lady of Malta with sheet metal, using the repousse technique of pressing and shaping the metal from the back. Because I work with my dreams and use them as one of the main sources in my art and artisanship, I felt that placing an image of the Beautiful Dreamer was a great metaphor. 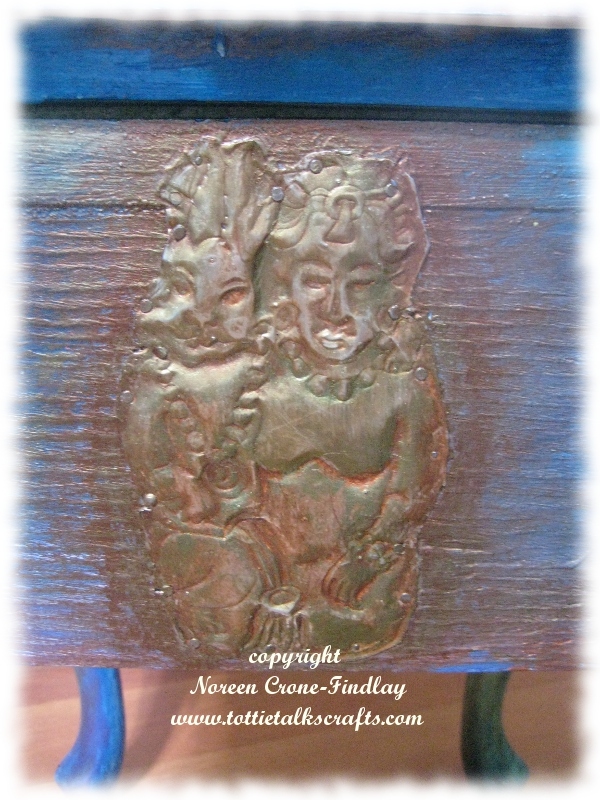 and on the stand, I attached another repousse image that I had made at the same time as making the Dreaming Lady. This is Xchtel, the Mayan Goddess of weaving, with her companion Rabbit. Dream weaver. Weaver of Dreams….. It is just pure bliss to weave on this loom. Words cannot convey the delight. I LOVE how my beloved son, and dear friend, Angus, and I created a loom that is so completely US. Woven on my Mirrix tapestry looms (16 inch wide loom and 8 inch wide loom).